LEADING East Yorkshire manufacturer Timloc Building Products has taken possession of its new, custom-built headquarters at Ozone Business Park in Howden. The company, which is part of The Alumasc Group PLC, joins national operators Warburtons, TNT, Image Data Group and DPD on the park being brought forward by leading property developer, the Horncastle Group PLC. Standing at 88,000sqft, the new base will enable the company to expand its manufacturing operations to achieve ambitious future growth plans. The move also provides better access to the motorway network than its former location on Rawcliffe Road, Goole, as Ozone Business Park lies less than a mile from Junction 37 or the M62. 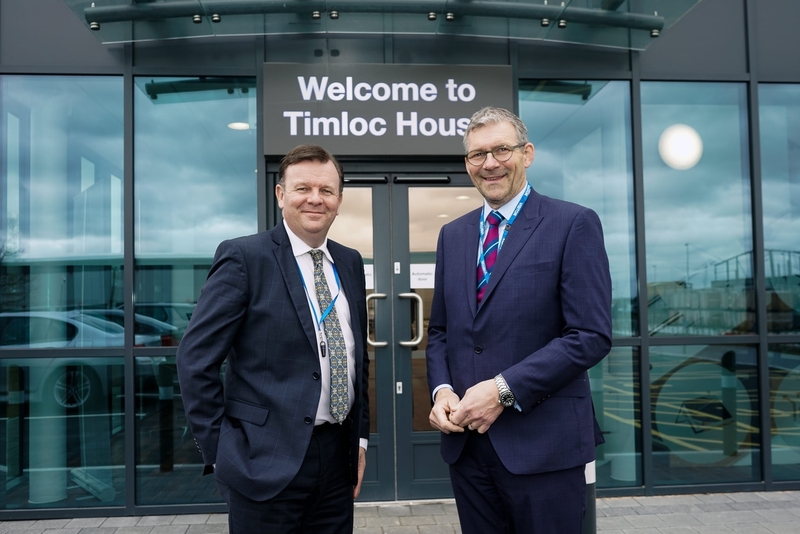 Michael Leaf, Divisional Managing Director at Timloc, described receiving the keys to the new facility as a ‘milestone moment’ in the company’s history. He said: “Timloc has an excellent reputation with merchants for next day service and we are looking to capitalise on that by expanding our manufacturing and warehouse operations. “To enable us to do that, we really needed to find modern premises that were fit for purpose and what better way to do that then to have them built to our precise requirements. “We recognised early on that Ozone Business Park fitted the bill perfectly because there was the space available, it was close to the motorway and, crucially, it is close to our former base so moving wouldn’t impact on our workforce. Timloc undertook an extensive fit out process before completing the move in January 2018. The building will be retained by the Horncastle Group PLC and leased to Timloc on a long-term basis. Ian Hodges, Managing Director of the Horncastle Group PLC, wished Timloc every success in their new home. “Timloc is a real East Yorkshire success story,” Mr Hodges said. “Their move to Ozone Business Park can only facilitate that further and enable them to grow. Picture caption: Michael Leaf, Divisional Managing Director of Timloc Building Products (L) and Ian Hodges, Managing Director of the Horncastle Group PLC (R), on Ozone Business Park, the site of Timloc’s new manufacturing base.